What is it about the living room that makes it such an important space in our homes? The living room is the centre of our home; our daily interactions are based around entertaining, dining, relaxing and residing which all takes place in this particular area of the home. It's a space that every member of the house feels comfortable, shares in happiness and engages with one another. 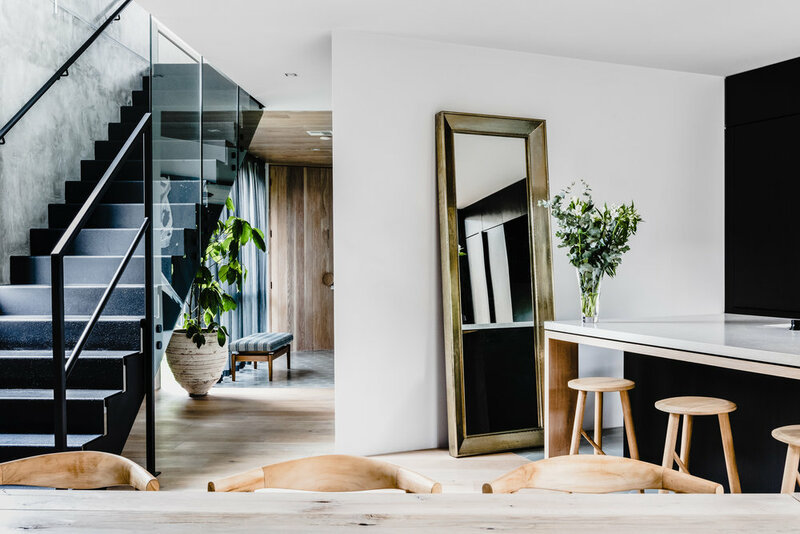 Personally, I tend to gravitate towards living and kitchen spaces; for me, it needs to provide a comfortable environment to look at AND to be within. In addition, a sun filled area is imperative - I can never get enough sunlight in a living room. I definitely believe each individual has his or her own style and aesthetic, so in my opinion ‘personality’ has a big role in a ‘great living room’. Accessorize and use specific colours that suit your own taste. Whilst saying this, an open plan design allows the overall feel of the space to be more inviting and less cluttered. An open plan living room means an integration of the kitchen with the family living…and so, this would mean no separation between the two spaces. As the kitchen is the core of all ‘coming together’ and the heart of the home, it is really such a beautiful concept to combine the two areas into one. When designing the layout for an open plan space, I always like to play with placement of ‘dining’ and ‘lounging’ spaces. As so much entertaining takes place around an Island bench AND so often around a coffee table, I like to look at working against the conventional placement of the ‘grand’ dining table adjacent to the kitchen area. In some cases, when presented with more space, I will let the open kitchen run into the living, offsetting the dining area. In other cases, I like to combine joinery of the living room into the dining space – e.g A floating shelf becomes a bench seat for the table. I often find clients do not appropriately utilize the size of their space through the furniture chosen – We can successfully create illusions of how large or small our homes are by the furniture we choose to style with. Using items that are too small for larger areas or alternatively furniture that is too big for compact spaces can completely ruin a gorgeous space. My rule is to make sure you can comfortably move between furniture, there isn’t too much space but you are not trying to squeeze in between either. In smaller areas, we need to remember we are not disadvantaged, we just need to get a bit more creative and wise with our designs! An integration of joinery with dining works wonders. This can be as simple as creating a bar seat in your kitchen island to allow for a more casual dining. Don’t clutter and choose your furniture wisely. Buy pieces that can be space saving and multifunctional! In addition, be careful with colour; dark, bold or strong colour schemes will make spaces appear smaller. 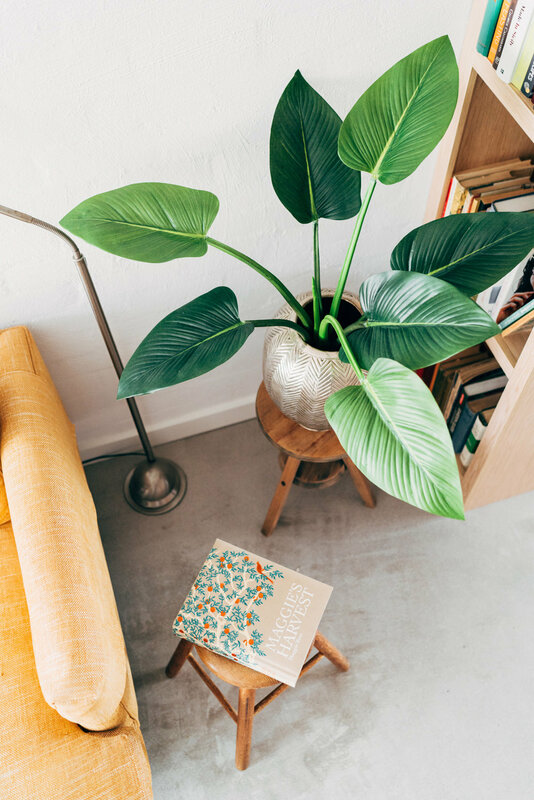 My advice would be to keep things bright and clean and integrate those eclectic items you like in small doses, that way they can be seen and shown off. I often find that clients don’t know their style. They love EVERYTHING and so they tend to overclutter, which ultimately leads to a cramped vision and takes away from each piece. I call it ‘CTC - Culling the C*P! If you over-accessorize the interior, you do a disservice to your space and to the pieces you treasure most! CTC!!!! I love making something a feature in a living room. My style is such a combined mix of modern meets eclectic. I Love Spanish, Italian, Indian, Asian and Moroccan styles and I work these together with a touch of 1950’s retro and modernism. It somehow works! I often tend to find myself working with artists to create custom art or buying one off pieces such as Balinese bed heads, Vintage artifacts or timber carved doors as a feature to hang on the wall in a living/dining space. In some homes, I have used gorgeous wallpaper to add to the vibe of the room, but it would have to really be something amazing and unique. I think that's enough for you to digest for now.. Stay tuned for my post next week where I will carry on giving you the best tips on how to make your living room truly special!